When it's cold outside there is no reason to stop wearing your beloved Kangol hats. Kangol makes their popular and famous 504 cap out of all wool to keep your head warm and stylish. 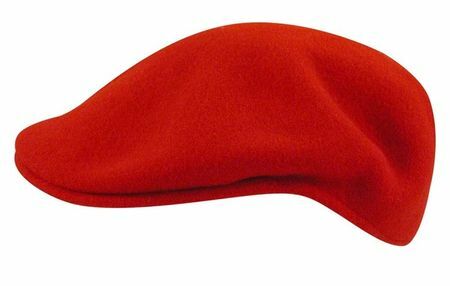 This solid red seamless wool cap that has the famous heritage hat that is pure Kangol through and through.